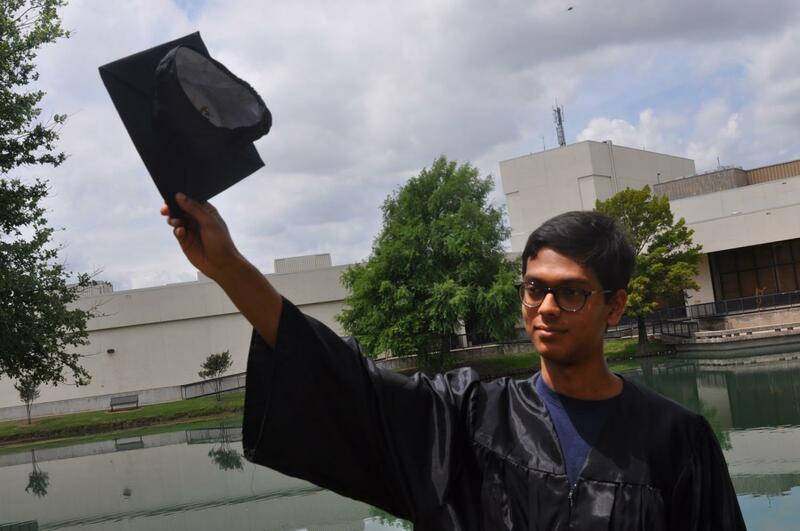 Senior Mohit Gupta celebrates his title of salutatorian by the school pond with a graduation cap and gown. Senior Mohit Gupta received the title of salutatorian for the 2017 2018 school year. Salutatorian is given to the student with the second highest grade point average, the highest going to the valedictorian. In a graduating class cut from a school body of around 3000 students, the decimal separating the valedictorian from the salutatorian can extend into the thousandths. Gupta is graduating with a GPA of 4.67. Gupta’s studies are concentrated in the sciences. He currently takes AP Physics C and AP Chemistry, among other AP classes, and band where he plays as a percussionist. 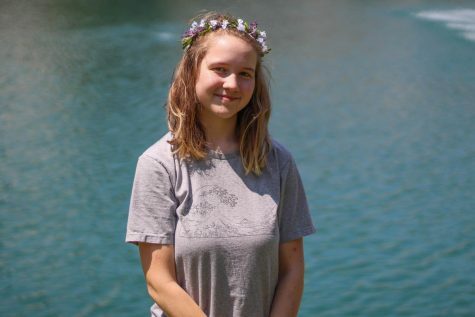 “I feel like I still don’t know what I want to do in the future and I don’t know what my place is going to be, but I feel like there’s a lot of different things that I really enjoy doing,” Gupta said. Next year he will attend the University of Texas at Austin and begin a major in Electric Engineering, but he is open to change. To Gupta, it is more valuable to take classes of interest rather than solely for the grade, even if that means doing worse in the class. Furthermore, he believes grades in high school will only get him so far. Gupta says his best memories of high school will be of his time in band and with his friends.